Perth, Sydney and Brisbane will host the new event, which takes place from 3 January, before the Australian Open. 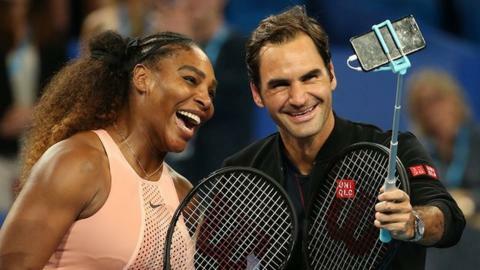 This year's 31st Hopman Cup saw tennis legends Roger Federer of Switzerland and American Serena Williams play against each other for the first time. But event founder Paul McNamee now has "concerns" about its future. The four-time doubles Grand Slam champion added: "My immediate feeling is sadness that it's not going to be there [in Perth] anymore. "If there was a sign off to say 'bye bye Hopman Cup', it was the fact that probably the two greatest players in the history of the sport, Roger Federer and Serena Williams, went head-to-head on court at the Perth Arena." Federer and Belinda Bencic beat Williams and her partner Frances Tiafoe before going on to defeat Germany in the final and win a second successive title. The International Tennis Federation said it was keen to keep the Hopman Cup alive and had received interest from cities around the world. The ATP World Team Cup will feature 24 teams, split into six round-robin groups with eight teams qualifying for the knockout stage. "While many may be looking at this change and saying we've lost something, we've actually gained something," Tennis Australia chief Craig Tiley said. "The ATP Cup will launch the global tennis season for the men - this is their event, it means a lot to them and they've thrown their support behind it 100%." The Hopman Cup's demise means no more women's tennis in Perth, although Tiley said he was in "deep discussions" with the WTA Tour about remedying that, although not in time for 2020.